The act of thanking is one of the most beautiful virtues you develop. It helps to shape your attitude. When you thank someone you feel the satisfaction of making someone happy and that inturn makes you happy. 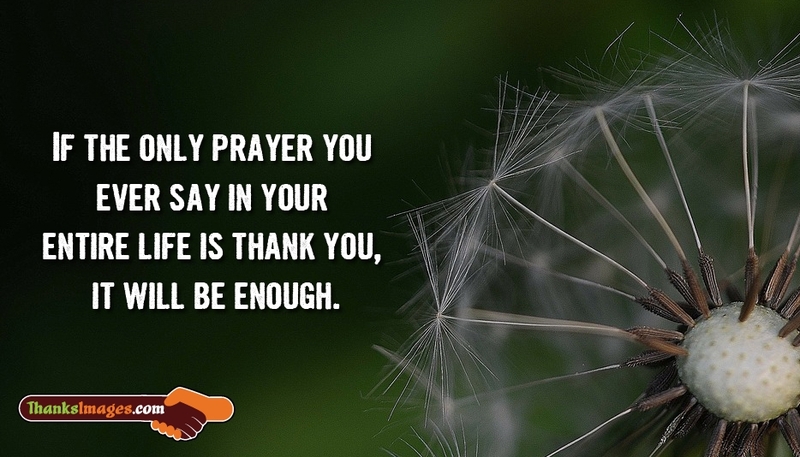 The picture beautifully portrays the image of a lovely flower along with the thanks message "If the Only Prayer You Ever Say in Your Entire Life is Thank You, It will be Enough".